The simplification and digitalization of trade procedures, or digital trade facilitation, is essential to reducing trade costs for developing economies and enabling them to effectively use trade as an engine of growth and sustainable development. Trade facilitation has taken increasing importance as evidenced by the entry into force of the World Trade Organization Trade Facilitation Agreement (WTO TFA). Governments in Asia and the Pacific have also engaged in a growing number of regional and subregional initiatives for facilitating the electronic exchange of information along international supply chains, including most recently the adoption of a Framework Agreement on Facilitation of Cross-border Paperless Trade in Asia and the Pacific (FA-PT), a United Nations treaty signed by Bangladesh, Cambodia, China, Armenia, and the Islamic Republic of Iran in 2017. 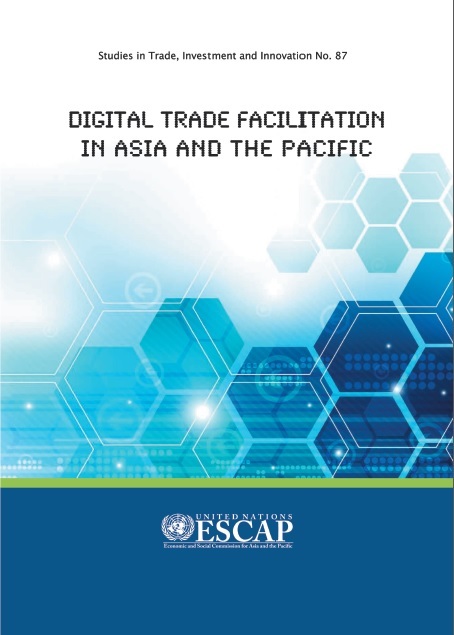 In light of the increasing importance of digital trade facilitation, this report provides an overview of trade facilitation and paperless trade implementation in the Asia-Pacific region, followed by an analysis of the impact on trade costs of different sets of trade facilitation measures. It also reviews in some details paperless trade provisions in recent regional trade agreements in the region, before discussing the benefits of the FA-PT as an inclusive regional platform and tool to accelerate progress towards digital trade facilitation and cross-border e-commerce.